What part of the website do I have to register for? Purchasing event licenses and supporting products. Submitting questions and answers to the online forum (Coming in 2009). How do I register on the website? How do I create a username on the website? On the left-hand side of the website, click on the Register link. This will take you to the Registration page. After filling out all of the information and submitting the form, an email will be sent to your email address. You must receive the email and click on the confirmation link to confirm that you are the owner of that email address. After confirmation, your account is activated and you are free to login. On the left-hand side of the website, click on the Login link. This will take you to the Login page. After submitting a valid username and password, you will be redirected back to the homepage. You can tell that you have successfully logged in because the Login and Register links have been replaced with your username, an Account link, and a Logoff link. Where is the online forum? 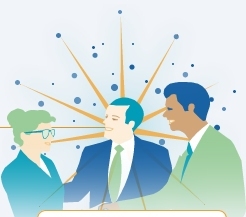 You can access the online forum by selecting the Forum link in the main navigation list at the top of the webpage or by browsing directly to forum.IgniteSpeedNetworking.com. How do I purchase an event license? Navigate to the Purchase section of the website, determine which license is appropriate for your needs and finalize the payment. After purchasing a license, you can go to your Account page to view all of your purchased licenses. Use the code found there in the Ignite software to activate an event. "I found it to be exhilarating."